Nevada Proudfoot Dwight! 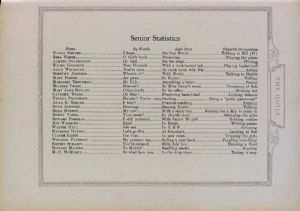 You're crazy Smiling Being a "petite paresseuse"
Pennsylvania Avenue High School, Cumberland, senior class. Printer: J. P. Bell, Lynchburg, Va.